You are here: Home / Blog / Why Does My Sewing Machine Keep Jamming? Why Does My Sewing Machine Keep Jamming? Here are several reasons why you may have a jammed sewing machine on your hands. Brother CS6000i Keeps Jamming: Help! The bobbin isn’t to blame! This is a common misconception when seeing a bunch of thread in a tangled mess underneath the fabric. The problem actually has to do with the tension of the upper thread. Basically, the sewing machine doesn’t have enough upper tension to pull the thread up through the fabric. When this situation occurs, it is best to re-thread the needle according to the manufacturer’s instructions for your sewing machine with the presser foot lifted up. Lint and dust can get into your machine while you are sewing dozens of different projects. If you don’t take the time to periodically clean out the gunk, then it starts to build up and gets jammed into the working mechanisms on your sewing machine. You will have to turn off the machine, un-thread it, and give it a good cleaning to remove the lint. Make sure to brush the lint out or blow it out from the bobbin area with canned air. In addition to getting rid of the built-up lint and dust, you also need to oil the metal machine parts. Cleaning and oiling your machine should be done at least once a month unless you use it more often. Then give your sewing machine an oiling and a cleaning once a week. Sewing machines can also jam if there is a problem with the needle. It could be bent or broken, preventing the thread from going through the fabric. Check your seeing machine needle to see if there are any problems with it. If the needle looks fine but it still continues to cause problems, you could be using the wrong type or size needle for the stitch pattern. Also check to make sure you are inserting it the right way. Fabric jamming in your machine may be caused by the feed dogs. The feed dogs are those tiny teeth along the sewing machine underneath the presser foot as those teeth pull the fabric through when the needle is making stitches. Lint or debris in the feed dog area can jam the mechanisms preventing them to move. Cleaning out the lint and dirt can free the jam. Then make sure the feed dog is in the raised position so that it can grip the fabric. Another problem might involve the presser foot being too low against the feed dogs as the fabric isn’t able to move through the machine. Lift the presser foot and make adjustments based on the type of sewing machine that you have to ensure the presser foot is not sitting too low. You get what you pay for when it comes to sewing thread. Buying bargain basement thread may seem like a smart idea for your budget, but the thread can cause a range of different problems with your sewing machine. Poor quality thread sheds a lot of lint that can get into the working parts of your machine and cause it to jam. The thread may also have tiny knots that can cause jamming when trying to be forced through the fabric. Poor quality thread can also break more often. Get better quality thread if you have checked the machine, needle, feed dogs, presser foot, and thread tension and can’t find any problems. You will see a world of difference with your sewing machine as it will run better and your projects will look fantastic because you used quality thread. Brother CS6000i has been my favorite budget friendly machine and I have been recommending this great starter model to beginner seamstress that I teach in class. However, any good machine has it’s slight bugbears so if you have the Brother CS6000i and experiencing thread jams, this is how to fix it. Please watch the video below. 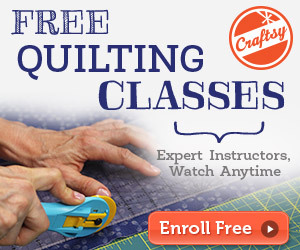 You can check out my Troubleshooting page for more sewing hacks and quick guides. 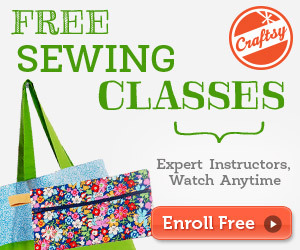 Is Your Child Ready to Sew? Wondering How To Make Your Sewing Rock? Read This! Hi, my thread isn’t jamming – it’s coming out of the top needle. So it appears that the top thread is too tight. I’ve rethreaded several times and I see that after running it a bit, it gets stuck in the channel of the thread tension module. Changing the tension nob makes no difference. The only thing I can do is pull it out and rethread the top every time. Any idea what’s going on? Is the thread just bad quality? It’s a brand new machine. Thank you so much for this video. I was certain something was wrong with my Brother sewing machine until I found this video and followed your instruction. This is my first experience with a computerized sewing machine. Obviously everything has to be set up perfectly. My problem was not having my needle in the correct position while threading it! All is perfect now. I did as you suggested as well… and made a note in my book to go through these steps if it happens again. Again… thank you!! Yay Maria! Glad that this post helped you. Thank you for your comment.